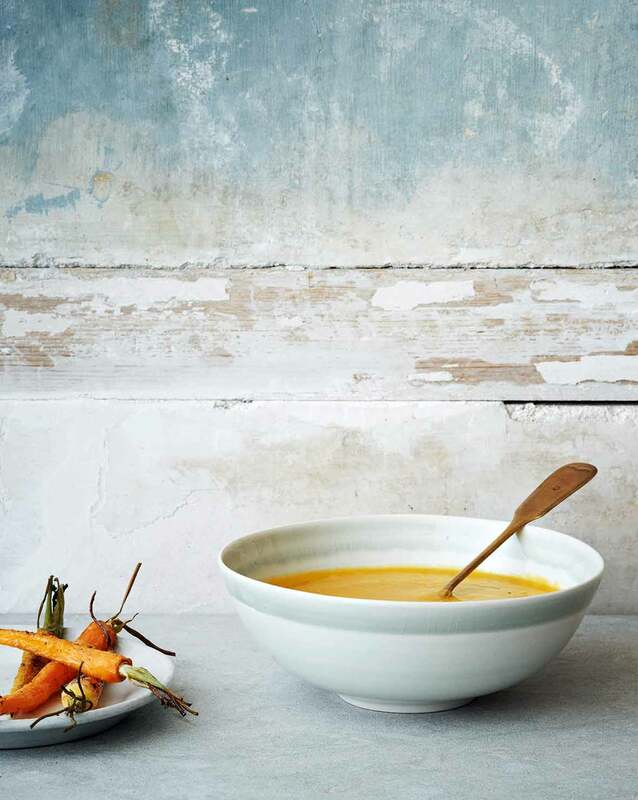 Carrot ginger soup is a classic. What this recipe offers is a few healthy ingredients: Onions, garlic, ginger, coriander, cumin, and garam masala are cooked in coconut oil and whizzed together with gently cooked carrots. It’s easy, healthy, scrumptious, simple, vegan, and done in an hour. 1. Heat the coconut oil in a heavy-bottomed pot over medium heat until shimmering. Add the onion and a pinch of salt, cover the pot, and sauté over low heat until the onion is very soft and sweet, about 20 minutes. 2. Add the garlic and ginger and cook, stirring, for 1 minute. Stir in the cumin, coriander, and garam masala and continue to cook, stirring, for another minute. 3. Toss in the carrots, stock, and another big pinch of salt. Bring the mixture to a gentle boil. Turn down the heat and simmer gently until the carrots are very tender, 20 to 30 minutes. 4. Blend the soup in the pot with an immersion blender or, if using a blender, let the soup cool for at least 10 minutes and then carefully pour it into the blender and purée until smooth, working in batches if necessary. Season to taste with salt and pepper. Ladle the soup into bowls. 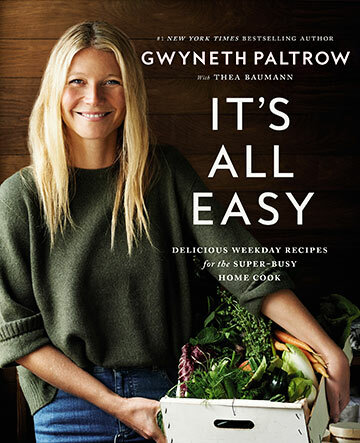 Carrot Ginger Soup Recipe © 2016 Gwyneth Paltrow. Photo © 2016 Ditte Isager. All rights reserved. All recipes and photos used with permission of the publisher.